From an overly obsessed baseball fan perspective, the timing for the release of Los Angeles sister trio HAIM’s latest song “The Wire” couldn’t be better, what with MLB’s trade deadline right around the corner and trade speculation literally going down to the wire. While it’s highly doubtful that the group’s label planned for the two to coincide, “The Wire” is nevertheless a great song which is just the latest in HAIM’s string of steady success on the road to the release of their upcoming yet-to-be-titled debut album (due out sometime this fall). The song’s laid-back nature and catchy lyrics make this song a surefire way to brighten your day. Peep game below. Considering that we’ve been getting nice sunny weather out here in San Francisco as of late, I couldn’t help but do a post on Late Night Alumni’s “Summer Lies.” One of my personal favorites from the downtempo house quartet’s latest album When the Beat Becomes a Sound, its spacey sounds and mellow pace create a relaxing vibe as Becky Jean Williams’ soothing voice takes you into a state of pure happiness and bliss. Relax and enjoy! Considering that his songs tend to be dark and moody, Abel Tesfaye aka The Weeknd probably isn’t one of the first artists you would expect to be featured on a party-starter, let alone an EDM-oriented one. 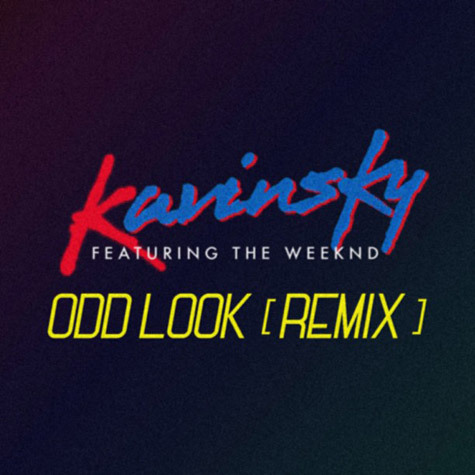 Enlisted by French House musician Kavinsky to assist on the remix of “Odd Look,” the somber songbird lends his vocals to the Frenchman’s pre-R.A.M. Daft Punk-like production; giving the song new life as he seamlessly weaves his dark, yet captivating lyrics into every nook and cranny of Kavinsky’s already-amazing track. As unexpected as this collaboration is, the “Odd Look” remix is sure to get you excited for any future collabs between the two. Peep game below. It’s pretty incredible how a good song can take your mind away to someplace far away from the stresses of everyday life. That’s exactly what St. Lucia’s “Elevate” does. The lead single off the New York-based singer’s upcoming debut album When the Night, this upbeat synthpop diddy is right in line with the summer season as the singer born Jean-Philip Grobler flexes his amazing vocals over a relaxing, tropical blend of instruments and synths. Check it out below and don’t be surprised if you find yourself wanting to visit the Bahamas or some other island paradise after your first listen. Jay-Z may have grabbed music headlines the last week and a half with his release of Magna Carta Holy Grail, but thanks to a curious fan who partook in his once-in-a-blue-moon Q&A session on Twitter, he also dropped the sequel to the sequel of “Dead Presidents;” the first single of his illustrious career. It picks up right where its predecessor (DPII) left off as Jay-Z reminds us with his wittiness and distinct lyrical flow why he is one of the greatest rappers of our generation. Listen to the track below. Back in 1998, Stardust’s “Music Sounds Better With You” was one of the most popular dance songs of the year. Fast forward to 2013: it’s now one of the most popular dance songs ever created, as evidenced by the countless remixes of it that continue to surface. One particular remix that stands out belongs to San Francisco’s own Giraffage. Reworking the French House classic into a more dreamy synth-laden track, the man known as Charlie Yin alters the party-starting mood of the song into a more chill vibe; the type you would want to fill your Sunday with after the festivities of your Friday and Saturday nights are all said and done. Download the track in the player below. As is the case with their Disclosure collaboration, “Strong” is a beautiful track which features some strong vocals by lead singer Hannah Reid. There’s definitely a majestic air about it as the grandiose piano chords and subtle synths in the background during the song’s transitions make for some epic buildups that help to accentuate the emotion in Reid’s already stunning vocals. 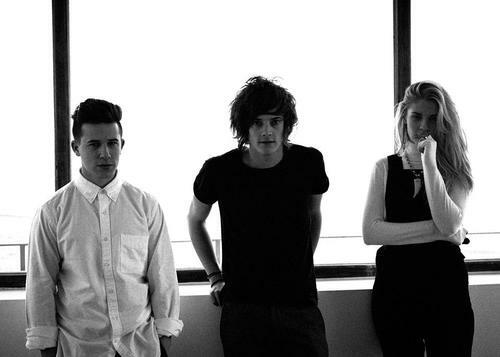 Give it a listen and be sure to be on the lookout for London Grammar’s upcoming debut album.